"We believe RuneScape is going to be evergreen but it would be irresponsible for me to be happy with that alone"
Jagex CEO Phil Mansell might have one of the coolest jobs in the industry. The chief exec took the top spot at the start of 2017, shortly after the RuneScape maker was bought by Chinese entertainment giant Fukong in September the year prior, bringing with it a massive amount of capital support on top of the cash the Cambridge studio was generating from its MMO. But with this comes a massive deal of responsibility to make the company even more profitable. Jagex has three prongs to its current strategy. The first is its existing games, RuneScape and Old School RuneScape. Second is developing its own new games. And thirdly is the company's new publishing division. Jagex Partners was announced ahead of Gamescom 2018, with the company revealing that it was going to helping other developers release their "living games" into the wild. "Part of my job is to sustain the enterprise indefinitely," Mansell says. "There are the day-to-day tactics of running a business and it's challenging and amazing at the same time. Ultimately, I'm here to ensure that Jagex isn't just alive, but alive and kicking. I believe we will continue to do well for a very long time. We genuinely believe that RuneScape is going to be evergreen but it would be irresponsible for me to be happy with that alone. So then you ask what else you want to do and what else we are good at doing not just to take activities to keep ourselves busy, but what our core skill set right now is and what we want that to be in five or ten years. "Creating more games is a big part of that. We have some other stuff in very early stages. Cool, ambitious living games are being developed in-house and we are building the teams for. We've built a publishing infrastructure and we've proven it over the decades with RuneScape. We've updated it and modernised it over time. When the game first came out, there was no Facebook or YouTube. We've had to develop those skills. Maybe we should have come to mobile earlier, but we are reaching that platform and it's looking really good. The stats so far are very promising. In being a publisher for our own products and having to learn about esports, influencer management and lots of community management with big events and so on, those are skills that not many publishers have and do them well. The idea is we get to use the things we are good at where we have these fundamental skills and infrastructure and well we need to do is add scale and flexibility to them." There's one catch with this new label - Jagex has tried to publish other games before starting 2010 and - to be frank - that didn't go well. When we caught up with the team behind Partners ahead of the scheme's announcement, they weren't able to offer much in the way of historical context given that they were all relative newcomers to the studio. But Mansell joined around the time the older publishing division kicked off and says that things are much different this time around. "I want to be respectful of what was done before. 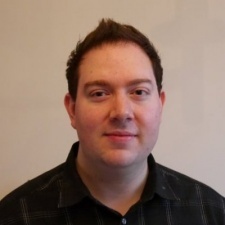 Publishing is a major integrated strategy for Jagex. This isn't an offshoot," he says. "When Jagex did it before, it wasn't called Jagex, it was in a different building. It was people being given a load of money to go be a publisher. I'm not criticising that, I'm just pointing out the differences. 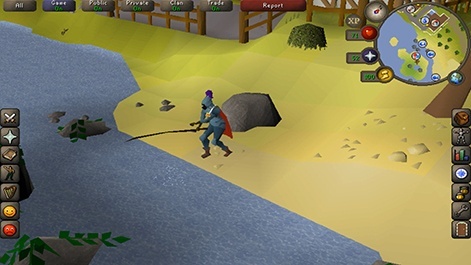 We are taking the approach of being highly integrated where we are benefitting from the institutional knowledge, skills, processes and technologies that we have proven with RuneScape and Old School on PC and now on mobile. We're benefitting from everything that Jagex has done so far. That wasn't the case before. It was a side project with no integration. Also, Jagex has different owners now and we are taking a longer-term look into the future. We talk meaningfully about five years in the future with our sibling and parent companies." Another curious thing about the Partners announcement was, well, there were no partners revealed. Generally - with some exceptions - it's common for new labels to at least announce some companies they're working with. Mansell says that rolling out in this way was to help bring developers to them. "There's a lot of really great content out there and we want to see as much of it as possible," he says. "As we have been warming this up, we have been talking to people more stealthily and we have reviewed well into 100 games on the way but there are thousands out there. We want to both go out to people and be aware that they can get in contact with us. We want that awareness in the games industry to increase the amount of content we can look at and create the best-curated portfolio that we can. We decided to wait until the ink wasn't on the paper for some of our things. We also knew we had Gamescom coming up so we could take advantage of the extra access to people and the exposure that you get attending an event like this. "It's not about turning over volume when it comes to games - it's about finding the absolute best partners. If things go well, we'll be working with them for ten years." 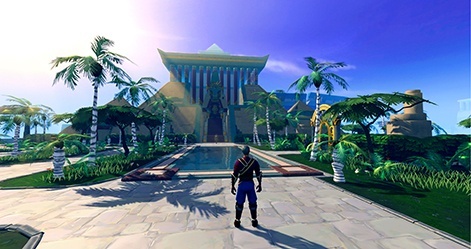 While Jagex is very much thinking to the future with its own new games and the projects Partners turns out, it's also not about to neglect its heritage. Especially when the MMOs the company is build up - RuneScape and Old School RuneScape - are doing so well. "We have continued to grow them in the last year," Mansell says. "Though our games are free-to-play, both have an optional subscription which is a really good measure of how healthy they are. We have a higher subscription level than any point in the last ten years on PC. 2008 was the last peak. We have been growing the last four or five years." Asked why this rise has occurred, Mansell continues: "There are a few reasons. There's the consistent effort of working with the players, that 'living games' guardianship that we do with our games. We have had good content coming to both RuneScape and Old School. We've done a lot of building our marketing and publishing teams. We've quadrupled the former in the last nine months [as of August 2018]. Some of that is building up resources for RuneScape and Old School coming to mobile. Eventually, it'll ramp even further to help with Partners. He concludes: "And that extra capacity and skill is helping with RuneScape and Old School on PC."